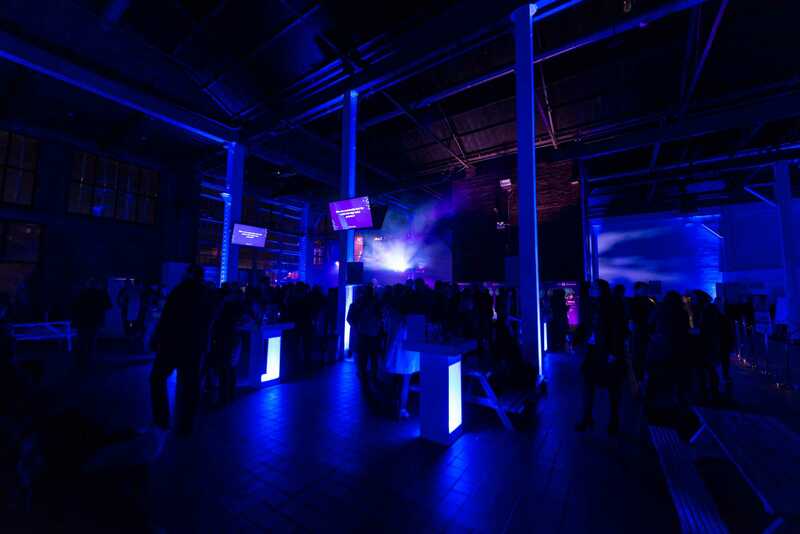 The Mass Challenge Awards in the Old Truman Brewery was a fantastic event to continue a busy New Years season. 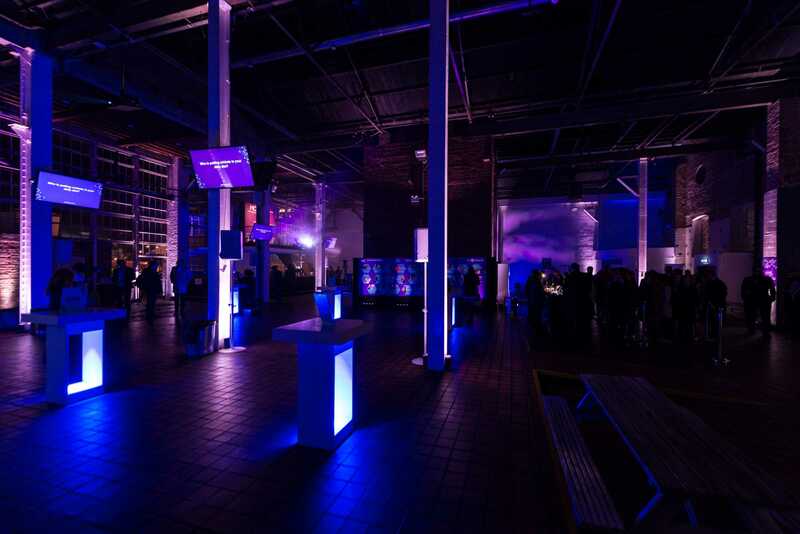 The Old Truman Brewery is one of London’s event spaces with a more industrial feel, so Light Motif’s design team relied upon their significant prior knowledge of working with non-conventional venues to produce an interesting and tasteful design. It was important to the client and the design team that whilst the venue was a historic site, the event should have a very contemporary feel. 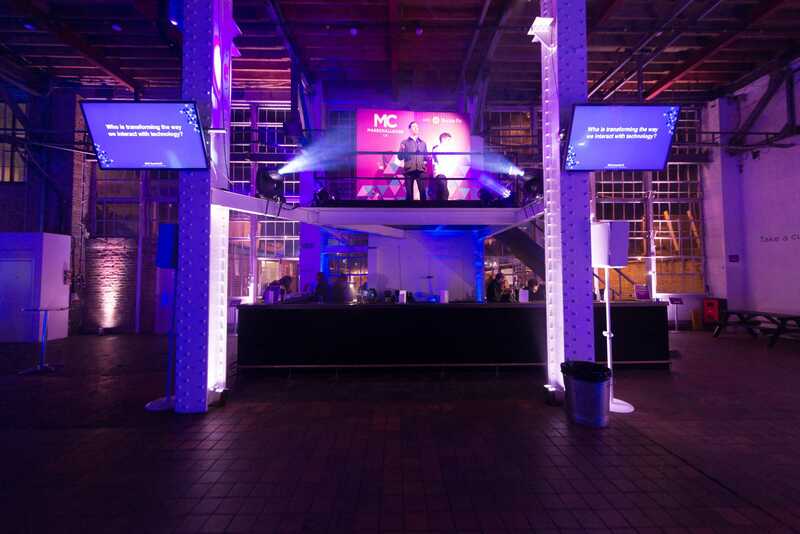 To this effect, we utilised some of our moving light stock, plasma screens, battery uplighter, wireless speakers and light up poseur tables to achieve the smart and stylish look.